1. Separate the asparagus stalks from mix and saute in 2 tablespoons of olive oil until soft. 2. Add rest of saute mix, 3 tablespoons of olive oil, and saute until tender. 3. Add quinoa, brown & red rice with flax seed packet. 4. Add three tablespoons of water. 5. Add 1/2 tablespoon of Whole Foods 365 chipotle chile crusted. 6. Cook all until well heated. 8. Brush tortillas with oil. 10. Roll each tortilla and place in oven pan. 11. 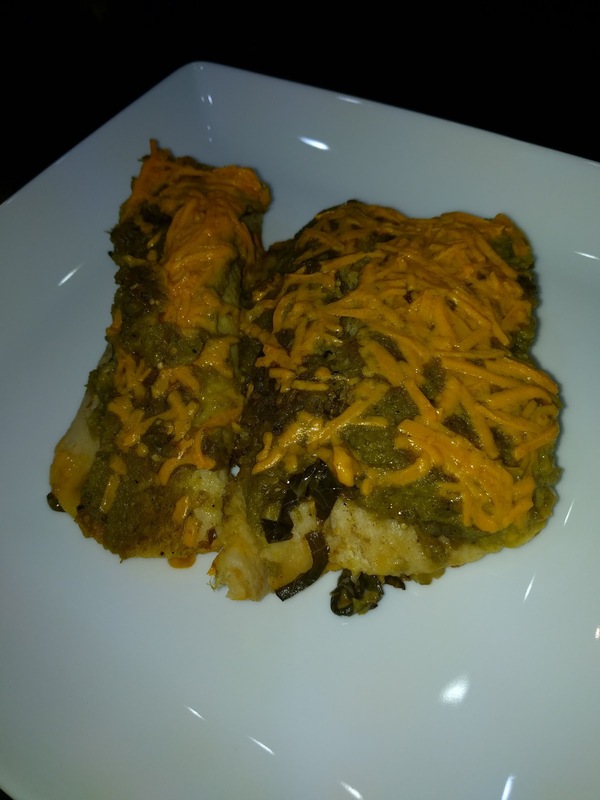 Pour green chile enchilada sauce over tortillas. 12. Sprinkle cheese generously on top. 13. Cook in oven for 25 min.